The 25 finalists of Natura 2000 Award include 5 Greek candidates. The European Commission announced the finalists of the 2018 European Natura 2000 Award. To reward the devotion in protection of nature. Let us support them with our vote !!! Voting is open until 22 April. European Commission had to select among 75 candidates. 25 finalists from 16 countries were selected for the Natura 2000 Award of 2018. The winners will be announced at the high level Ceremony on 17 May in Brussels. The finalist with the highest number of votes will receive the EU Citizens’ Award. Vote for your favorite and share! Limit date is April 22. The district of Kastoria, in Greece, is of strategic importance for the brown bear. It functions as a communication corridor between the bear sub-populations in Greece and the Western Balkans. It also demonstrates a number of typical problems concerning the coexistence of bears and humans. Firstly, there is the issue of the 72km branch of the E45 Motorway. Just six months after opening the new highway, five major traffic accidents occurred involving bears and cars. Secondly, an increasing number of bears in the area visit settlements during winter and early spring, when natural food sources are scarce. This increases the risk of bear-human conflicts and causes fear and anxiety amongst the locals. CALLISTO, an environmental NGO, has a long presence in the area. Since 2009 it has been working in partnership with local authorities, the association of farming cooperatives and the Development Agency of Kastoria. The target is to address these challenges and to improve conditions for bear – human coexistence. Thanks to the partnership, the expertise and the dedication of the people involved, as well as the support of the EU LIFE fund, bear fatalities have been drastically reduced to 2-3 per year from the initial number of 8-9. And local tolerance towards the animals has increased considerably. Once people became aware of the project actions and their effects, public opinion changed significantly. The drastic reduction in traffic accidents caused by collisions with bears in the road network as well as other conservation and awareness raising actions, have all increased the tolerance of the locals towards bears. The project completion survey demonstrated that 76% of the respondents considered the use of prevention measures effective. 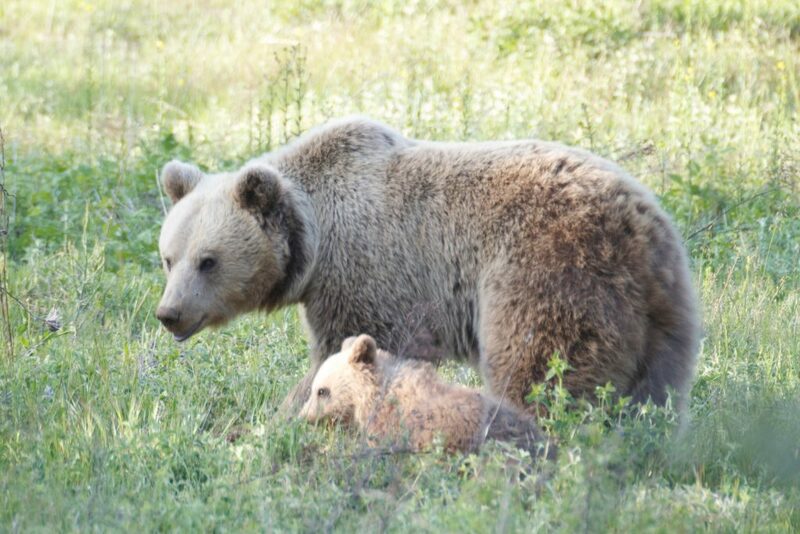 While 32% stated that they actively participated in efforts to protect bears. Vote here to support this candidacy. Problems that threaten the survival of the monk seal in the Aegean and Ionian Seas. MOm’s work was instrumental in developing and updating the National Strategy for the Protection of the Monk Seal. 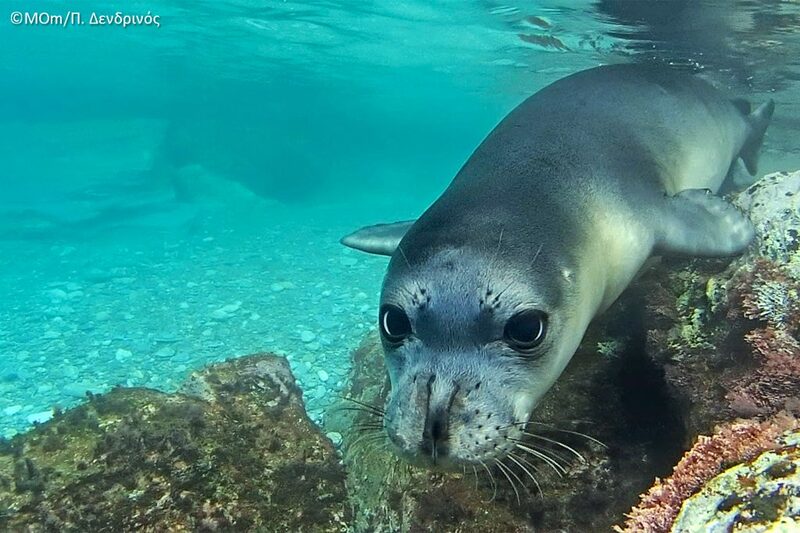 As a direct result of its actions, in 2015, the Mediterranean monk seal (Monachus monachus) was down-listed from “Critically Endangered” to “Endangered” on the IUCN Red Data List of endangered species. Lake Stymphalia is located in the mountainous region of the Peloponnese. It is one of the most important inland wetlands of its kind in the Mediterranean. A safe harbour to many rare bird species as Aythya nyroca, Ixobrychus minutus, Ardea purpurea. This is why it is included in the Natura 2000 Network. According to Greek mythology, it is here that Hercules completed his 6th Labour, by defeating the Stymphalian birds. The wetland presents a unique landscape where biodiversity intermingles with the ruins of the ancient city of Stymphalos and with the rich cultural heritage of the area. Ancient Stymphalos was inhabited from the 4th century BC until the 6th century AD. Nowadays, a big part of the city lies almost sunken under the lake. The dual identity of the site was used as the theme for the establishment of an interpretation trail “Man and Nature on the Paths of the Time”. It is an easy, self-guided, linear hiking route of 1.8 km (a 2 hours roundtrip). And, it links the Environment Museum of Stymphalia with the wetland and the archaeological site. 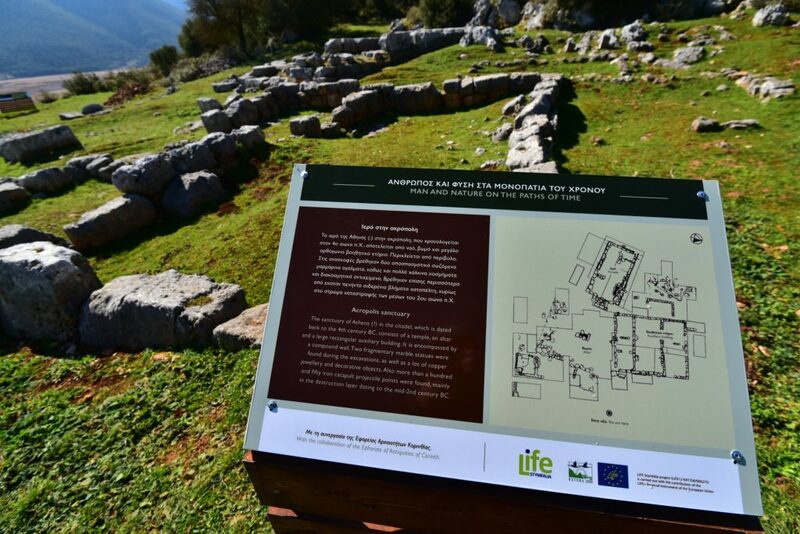 Information signs are placed along the trail, highlighting the ecosystem of the Natura 2000 site, its cultural landscape and its archaeological finds. A bird observatory offers an unobstructed view of the lake. It also provides information on the protected bird species. A major effort is underway to bring the lesser kestrel (falco naumanni) back to Bulgaria. Where it is currently considered extinct. A broad partnership of organisations from Spain, Germany, Turkey and Greece, and led by the Green Balkans, an NGO from Bulgaria, work together with the help of EU LIFE funds. The target is to encourage the return of the lesser kestrel as a breeding bird in Bulgaria. And to enhance its conservation status at national and international level. Using the so-called “hacking” method, juveniles bred in captivity at the specialised breeding facilities of DEMA in Spain and Green Balkans are raised in an aviary with foster parents and later released. This method is based on the long-term experience of DEMA. DEMA has successfully implemented a series of similar initiatives in Spain and France. 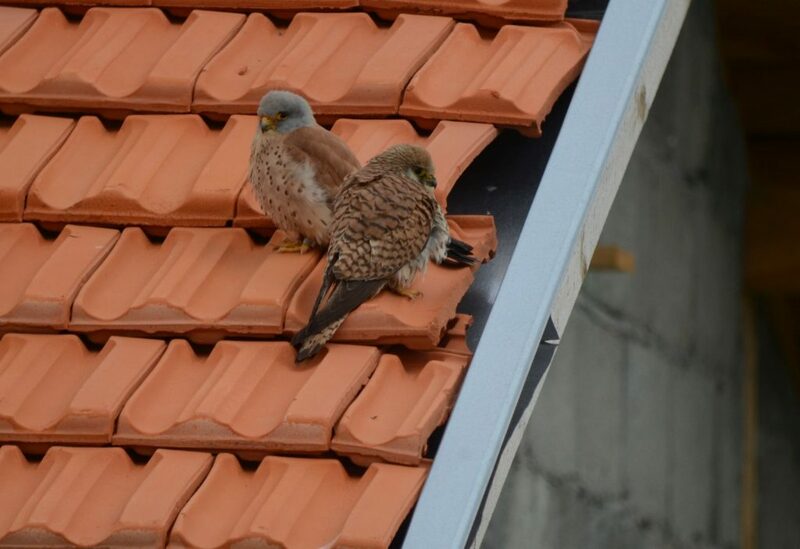 As a result, 286 lesser kestrels were released / fledged in the Sakar SPA from 2013 to 2015. And the first breeding pairs were subsequently recorded in the wild. With the help of the partners from DAYKO in Turkey, surveys to find the lesser kestrel colonies in the Turkish-Bulgarian border area were organised. Partnering with Greece and Turkey will further improve the habitat in the region. It will ensure connectivity between the birds from Bulgaria, Greece, and Turkey. Meanwhile, the partners of EPAMATH in Greece, helped with placing nest boxes in known lesser kestrel areas. This strengthens the Greek colonies. And it gives the birds from Bulgaria the possibility to interact with colonies from other countries. The partnership established through the project is an excellent example of the positive cross-border cooperation. Electrocution by power lines, etc. 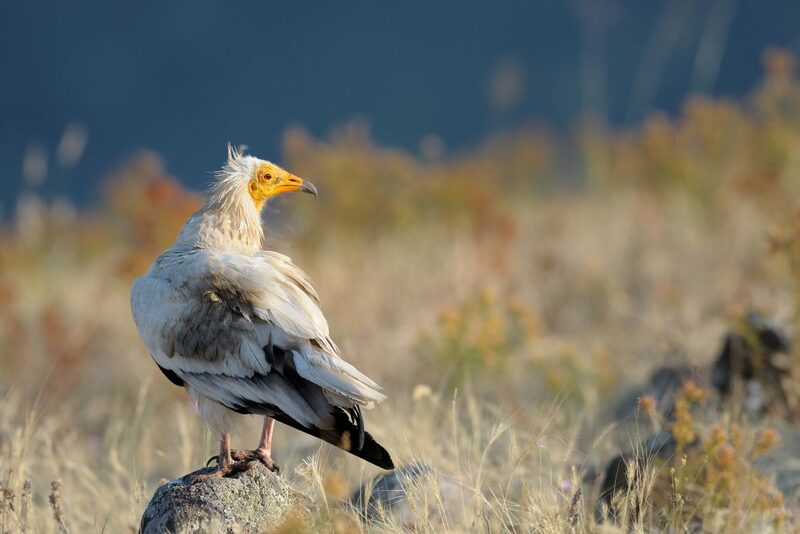 Partners invested in efforts to stop the illegal trade of Egyptian vultures and eggs in the Balkans. A total of 178 Custom Officers were trained in Greece and Bulgaria. And cooperation between INTERPOL and international customs authorities was promoted. Intense capacity building and networking in Bulgaria also helped 1400 farmers to apply for agri-environment payments. And nearly 100,000 ha of pastures within the Natura 2000 network are now being managed for the benefit of the Egyptian vulture and other wildlife. And networking with electricity companies resulted in the insulation of over 400 dangerous electricity pylons in Greece and Bulgaria. Another successful example of cross-border cooperation with local institutions (SCF and APLORI) was the discovery of a yet unidentified threat. In Niger and Nigeria vultures were being killed to use their body parts in traditional medicine. And a power line in Sudan was decommissioned and replaced. Only extensive local and national networking and international collaboration could deliver the successful results listed above. Here you can find ALL 25 candidacies for Natura 2000 Award and vote for them. And here you can find ALL 75 candidacies of this year. The 25 finalists and the 50 eliminated from the final of Natura 2000 Award. Alfa-certified hotels, restaurants etc that are in or near a Natura 2000 area, can be found here. Helping you better organising your vacation in Greece, with the aid of certs-it.com. Just use the “near Natura 2000 area” filter in your search.